Normal addition rates of silica fume may result in concrete that is slightly darker in color. 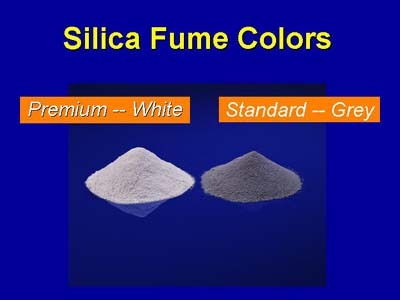 For this reason, standard silica fume has not been used in architectural concrete when color is important. White silica fume may be used in this application.